Disney fans attending D23 in Anaheim got a huge surprise today. They were the first to hear that Disney Cruise Line is planning not two, but three new ships in the next phase of expansion. By the time these three ships are sailing, we’ll have nearly doubled the size of our fleet! That means more families than ever before will be visiting spectacular destinations around the globe and creating magical memories at sea! Last year, we told you that two new ships were going to be built at the Meyer Werft shipyard in Germany with scheduled completion dates of 2021 and 2023. This additional ship will be built at the same shipyard and is scheduled to be completed in 2022. What’s your favorite thing about cruising with Disney? Love everything about Disney. Have been on 6 Disney cruises and the evening entertainment was always something to look forward to. The food and our servers where always so very nice. Thank you Disney. Guess I better start my new wish list and get my numbers up. Hope to be at 100 cruises by 2021 and we’ll on the way with #79&80 before the end of the year?⚓️???? I hope they have a ship based in the UK!!! So many Disney fans who want to take a cruise with them from GB!!!?? This is great news, but what’s the chance of any of the fleet heading to Australia for all of the Aussies who love DCL? Sailed on the Disney Dream last July….loved the food, loved the port calls, just loved the entire Disney environment! It really is a matter of personal taste and what is worth your money. We have to save and save and save. DCL is what fits our personal taste and saving up for it only builds up the anticipation. We love everything about Disney Cruise Line, EXCEPT…disembarkation day. We will embark on our 9th this December 16 with the hopes of being on all of the inaugural cruises for the newest ships. Are these ships going to have the classic look/feel of the older ones, or will they be modern? How’s much we like Disney cruises! Let me tell you a story. My wife, my son (11 y/o with cerebral palsy), and myself were on our 3rd cruise and we just boarded. Going through our arrival papers, I saw we were scheduled for Remy’ s at the same time as our seating for dinner at Artist’s Palette. My son, Ethan, loves that restaurant since Finding Nemo is a favorite of his. Well we didn’t want too lose our money but did not want to disappoint Ethan. We thought one of us may have to stay but when the wait staff heard or dilemma, they offered to take full care of him even after we explained his special needs. Mind you, he was all for it! We left him with strangers. After our long and delicious dinner, we returned to our cabin to find our son in our room, watching tv and eating a cookie. They helped him eat and helped him back to his room and made sure he was okay. This is why we don’t cruise with anyone but Disney! Please add our family to the reservation request list for the inaugural voyage for each of these ships!!! I will be calling reservations to verify. Here’s hoping that at least one of the ships will have cruises that include routes in Japan and China that include opportunities to visit Tokyo, Shanghai, and Hong Kong Disneyland. Please please please can one of these ships come to Australia and be based in the Southern Hemisphere ? Love, love, love Disney cruises! Happy to hear more options will be coming. Now, if they would just buck the cruise ship usual and add king beds to the state rooms. That–and disembarkation–are the only things I don’t like about cruising with Disney. At 5’11” with RA (which requires lots of pillows for joint positioning) and a husband who thinks he needs bed space for some reason :), a queen bed does not make for a good sleeping experience. Only the swanky rooms come with them and I can’t afford those and Disney–and I don’t want to give up Disney. That’s very good news! Can’t wait to see where these new ships will offer to take us… Hope it will be for longer cruises (7 days at least). We have been only on two cruises up to now and our next one is in July 2018. We absolutely loved everything from the food to the entertainment and the service. We surely hope to be able to try these new ships whenever they will be ready to sail. My wife and I have four children. As they were growing up, I often tried to convince my wife to take a family cruise vacation. The answer was always no. Now mind you, my wife had never been on a cruise before and she never would give me a logical reason as to why she had no interest. And try as I might, I was never able to convince her to change her mind. As fate would have it, I came across a discounted three night Caribbean cruise on the Disney Dream. So without consulting my wife, I booked the cruise and went home to tell my family the exciting news. My children were excited, my wife was less than thrilled. The day of the cruise arrived and my wife boarded the Dream with a forced smile on her face trying to make the best of it. It only took five hours of the “Disney experience” for her to turn and tell me that she never wanted to travel any other way except on a Disney cruise. Every family vacation in the future would start wherever a Disney cruise ship was based. The following day we attended a presentation by the Disney Vacation Club. Needless to say, the “discounted” cruise cost me more than I expected. My wife will never consider any other cruise line other then Disney. And I don’t blame her. Great news for a huge DCL fan, DVC member and general kid at heart. Maybe they’ll finally put a casino in one of them. Excited to hear! We are DVC members, and annual park holders WITHOUT kids. We are good ol’ general Mickey and Disney fans! Fantastic for Disney cruise. ? No casinos, that is one thing that makes Disney different from other cruise lines. We will be looking forward to the new ships. Wonderful news!! My family and I absolutely love sailing with Disney. We’re really hoping they will sail to the Hawaiian Islands finally! The food, the entertainment and the rooms are great! There’s always something to do, I love the fact that Disney is for families ….kids of all ages!!! I hope one of the Cruises have a port in Australia on the Itinerary! It would be amazing to finally have some Disney Magic in Australia. So Hey I went on a Disney Dream by August 25-28 2017 it was Terrific to the Bahamas and a Castaway Cay with my Dad (Jim Lerdal) also I went on the AquaDuck, Putt-Putt Golf, Exercise, Great Foods, Going to the Shows like Golden Mickeys and Believe also I went to Nassau for Atlantis Aquaventure it was Fun! and My favorite stateroom is 9500 for seating porthole it was large! I’ve been on the Disney Dream ship by 2013, 2014 and this year! Missed the announcement of the 3rd ship. Should be launched by the time I’m Platinum. Can’t wait. Disney is unmatched when it comes to themes and guest services. I’ll take superior service every time. I’m not interested in a floating milk carton that looks like a suburban shopping mall inside. 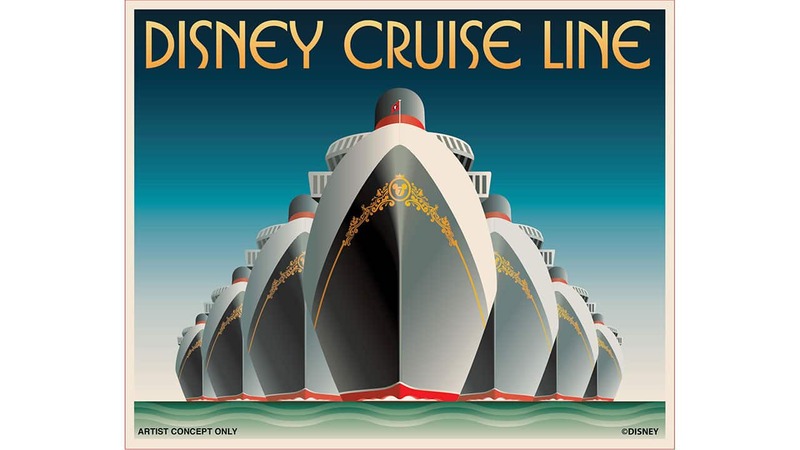 I’ve never been on a cruise ship and I would love to experience the DISNEY CRUISE SHIP for my 1st cruise. Hoping the Hawaiian Islands will be a destination of choice!!!!!!!!!!!! My husband and I love concierge, unmatched Disney service, Bingo with Trevor (B11), the movie theater, and Broadway-style shows. We love sooo much! DCL luggage transfer service out of Port Canaveral, photo shoot options, Palos!